The Padron 1964 Series are all available in sungrown natural and maduro wrappers. All tobacco used in this limited production series is aged for four years, creating a smooth and complex flavor. In honor of the age-old Cuban tradition of box pressing cigars, the 1964 Anniversary line was introduced as a box pressed series. 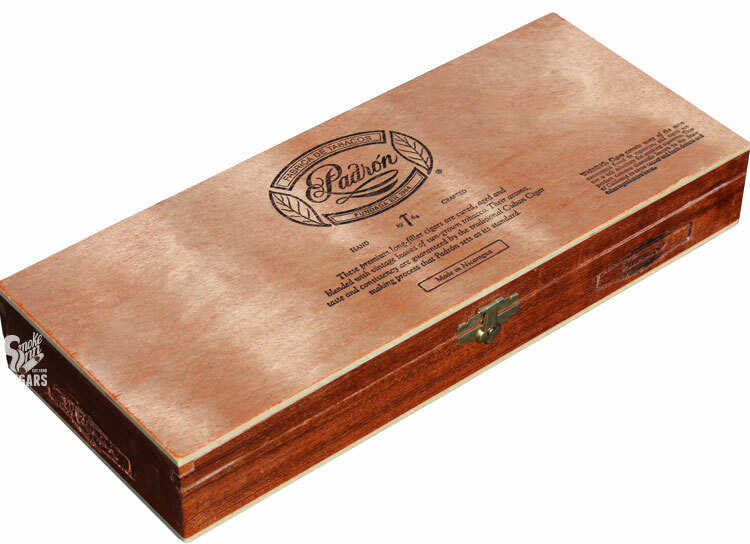 The Padron 1964 Anniversary Series is consistently ranked by industry experts as one of the top brands in the world. All new for 2016, the Padron 1964 Anniversary Hermoso is a 4 x 56 flavor bomb! This is the first new addition to Padron's already famous 1964 Anniversary line in years and is definitely one not to be passed up. Get yours today!